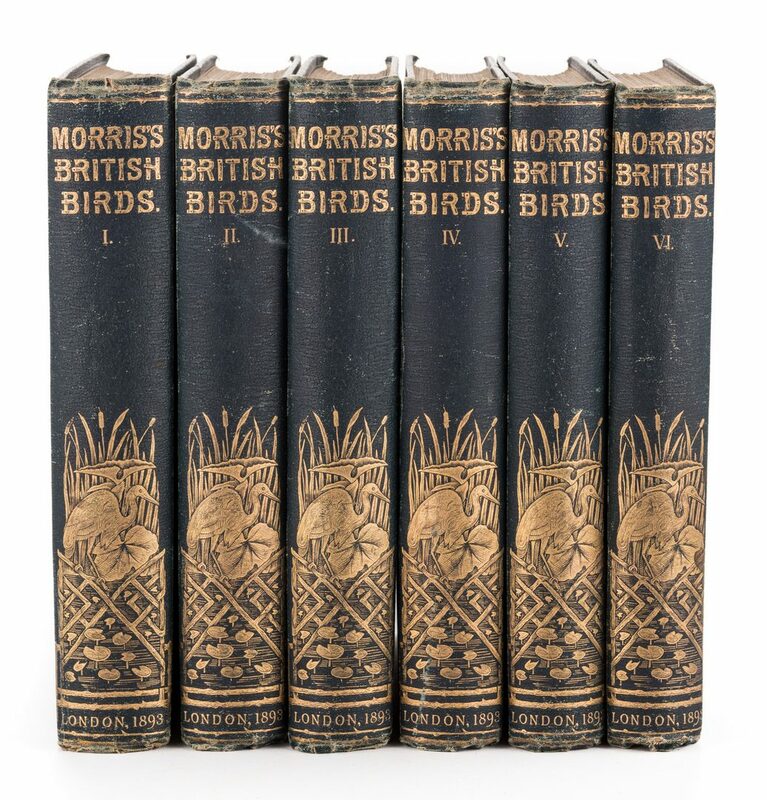 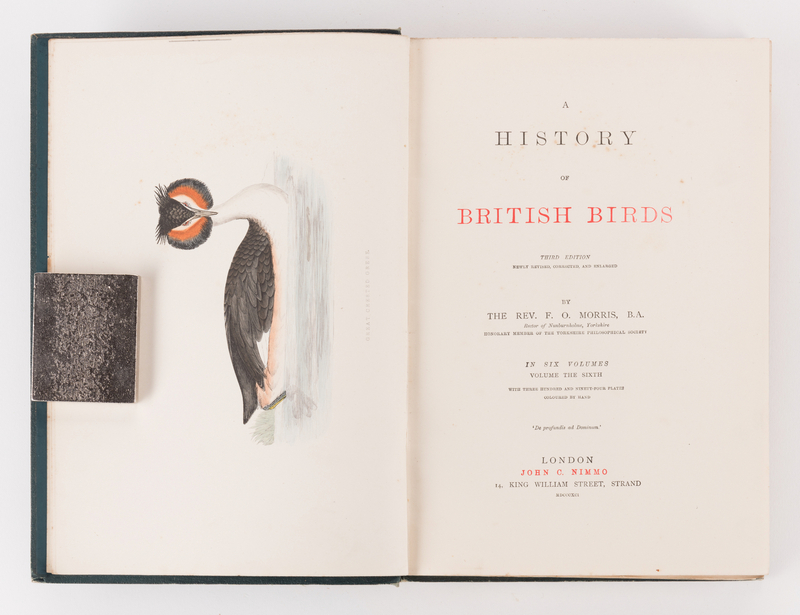 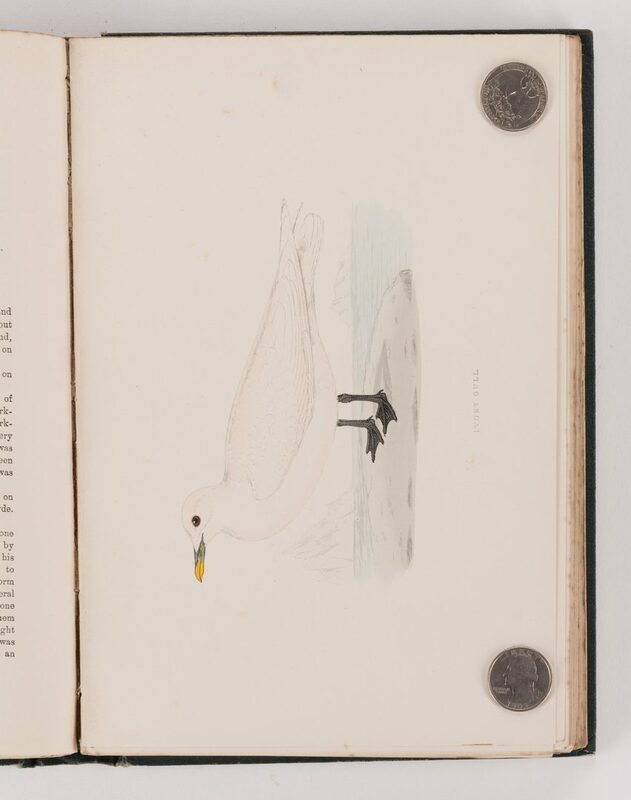 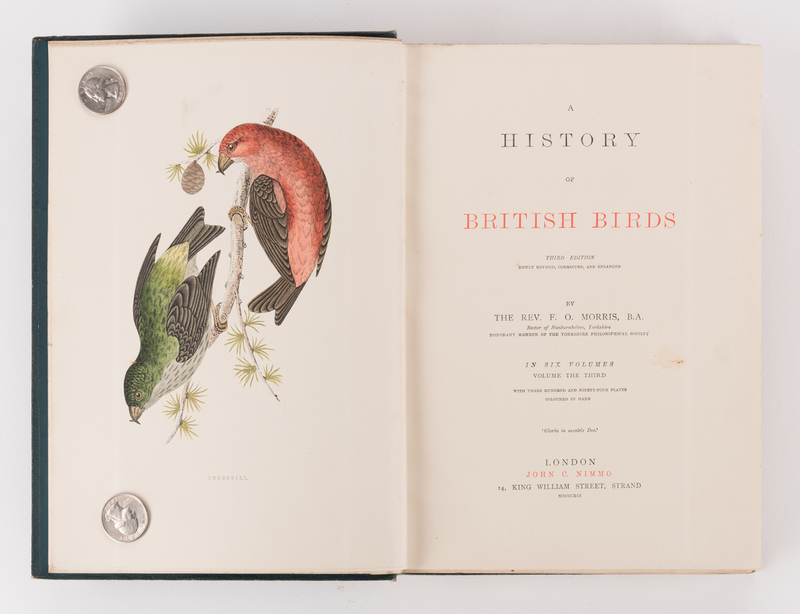 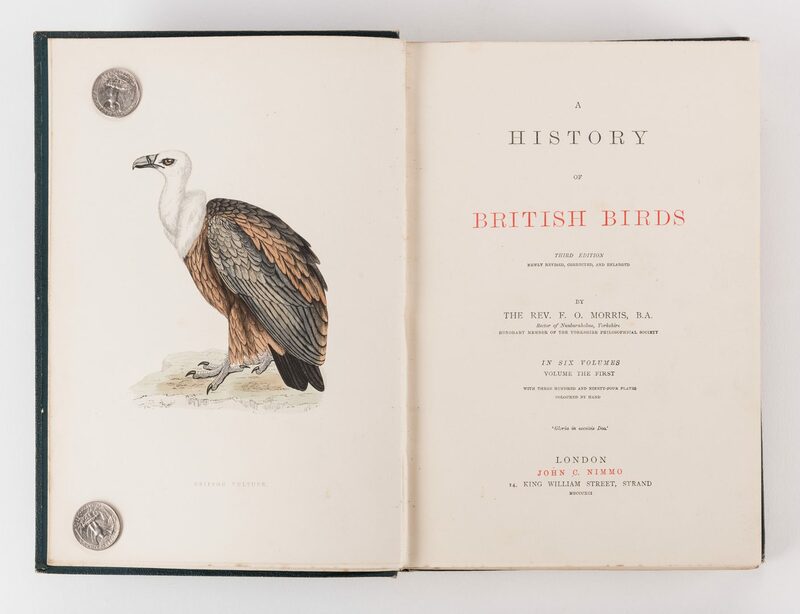 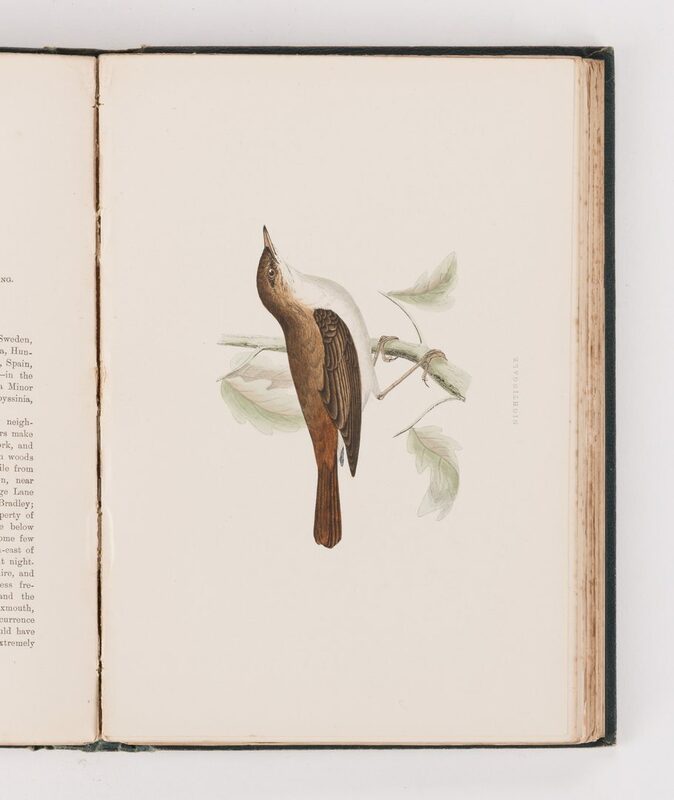 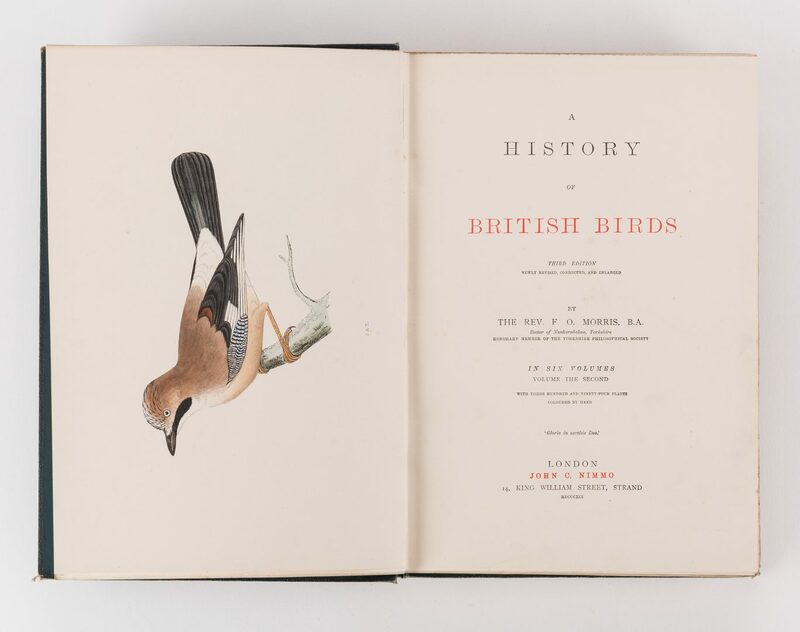 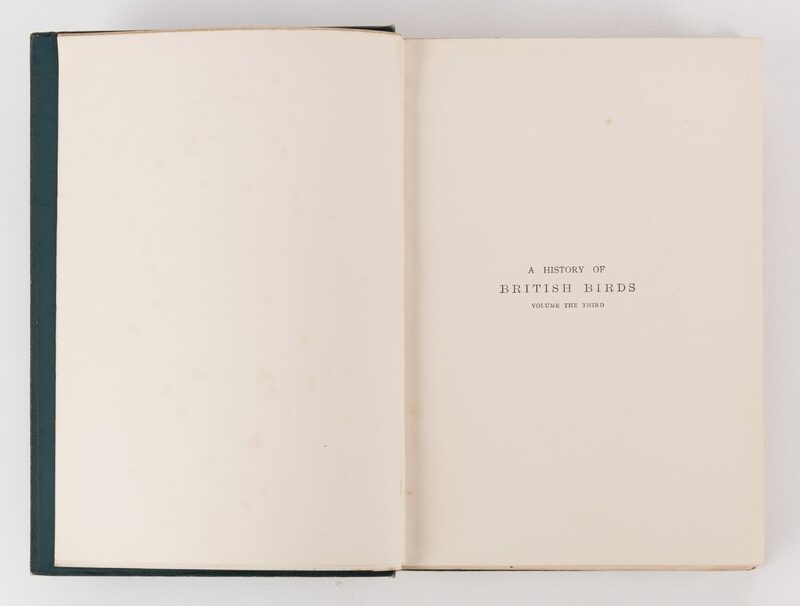 Lot 450: History of British Birds, F. Morris, 1891, 6 Vols. 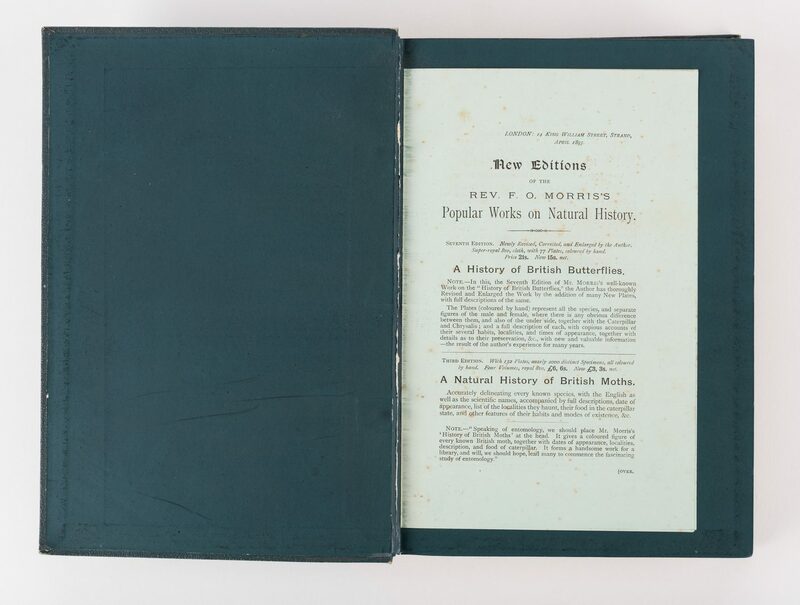 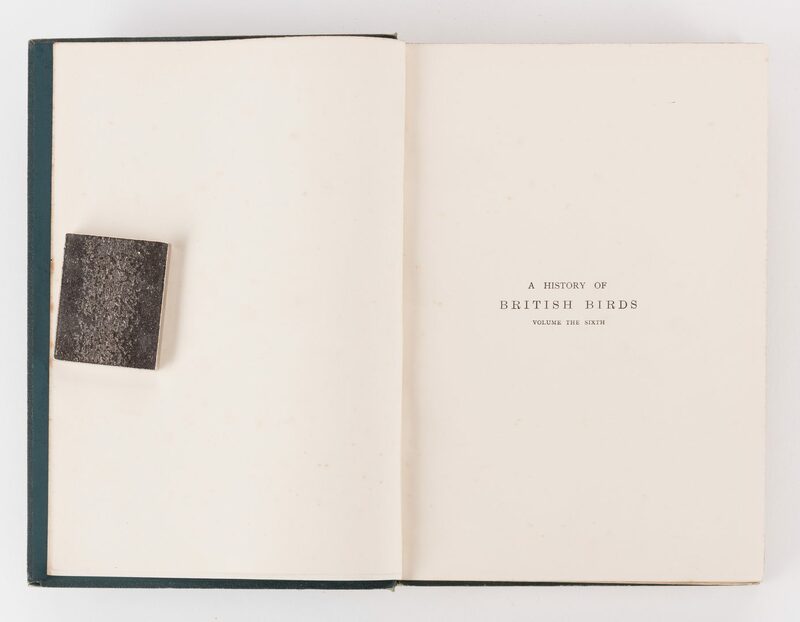 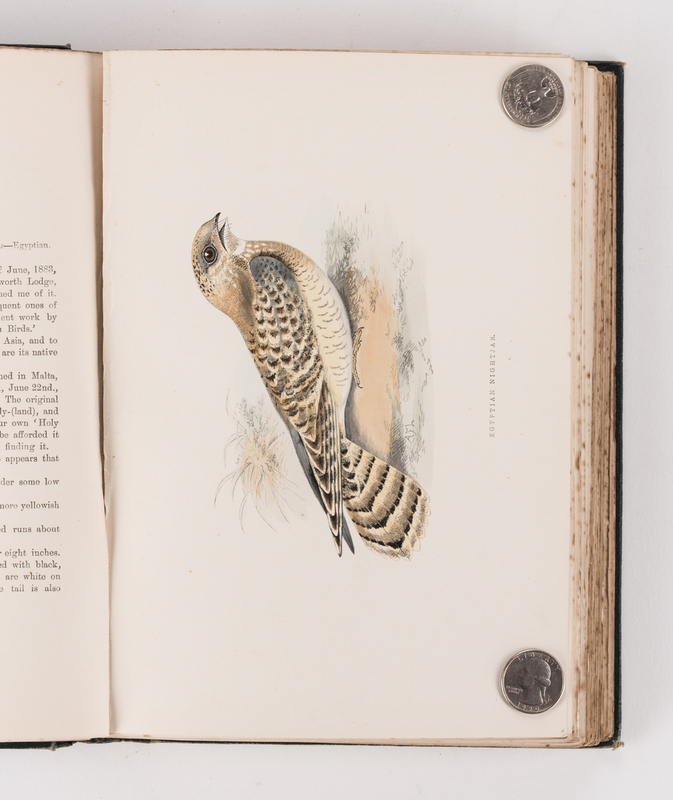 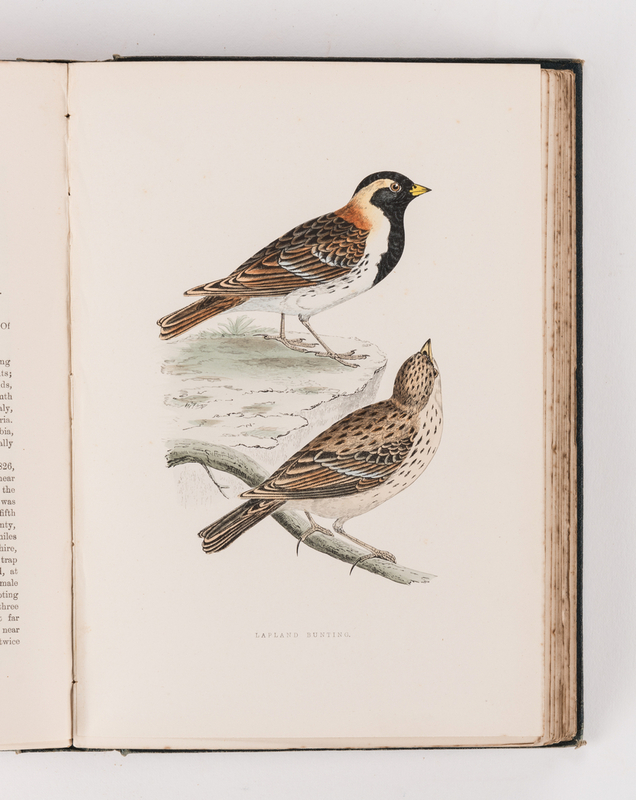 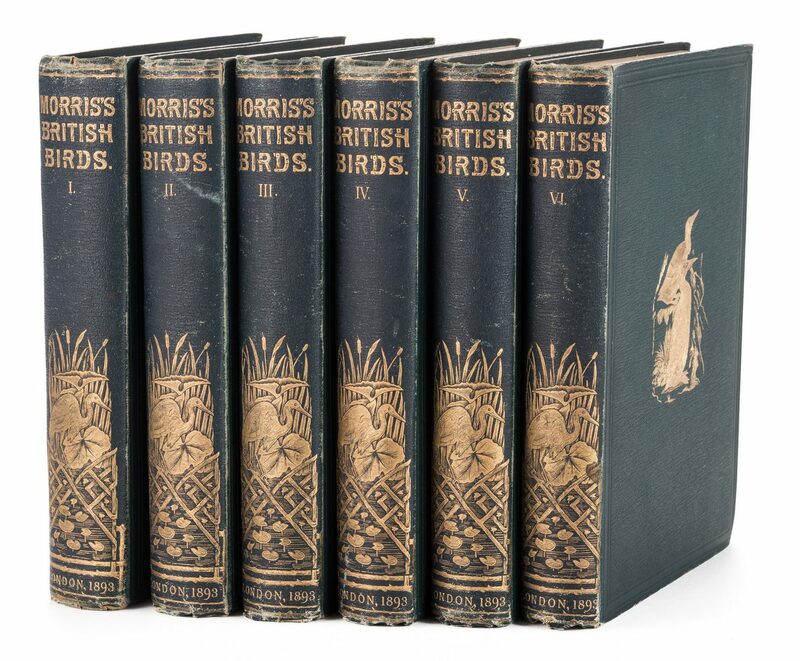 You are here: Home >> August 5, 2017 Historic Summer Auction >> Lot 450: History of British Birds, F. Morris, 1891, 6 Vols. 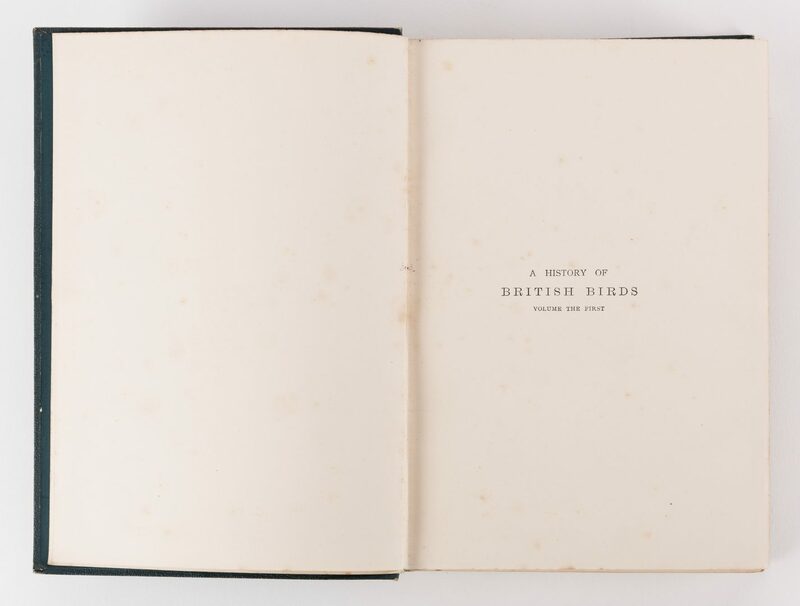 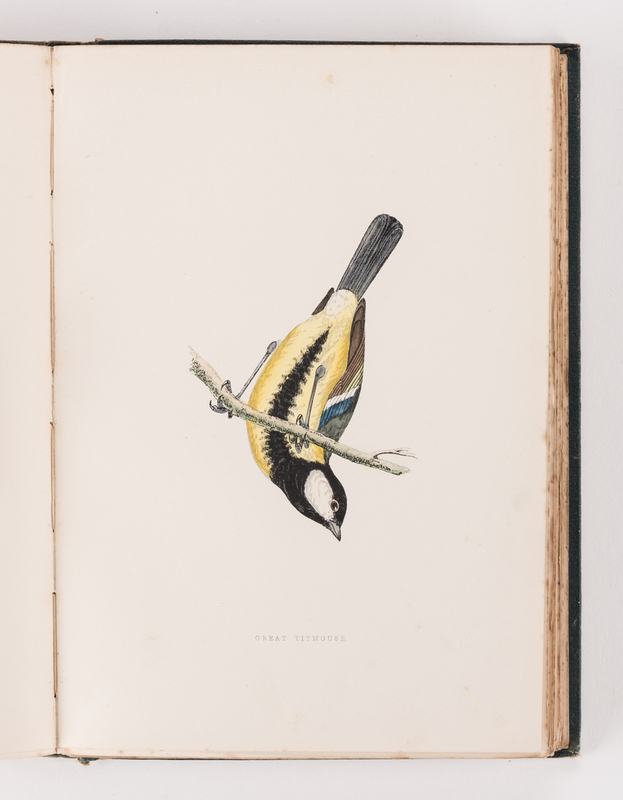 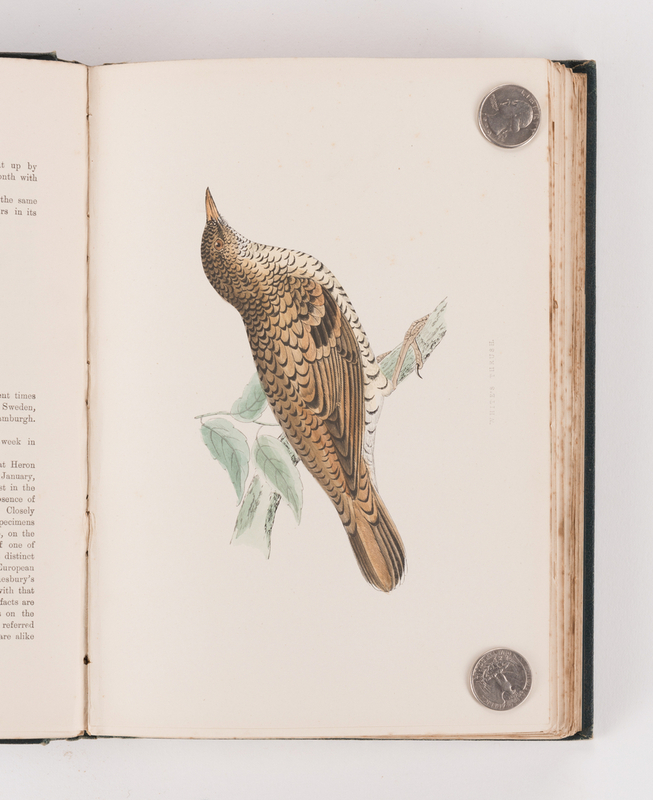 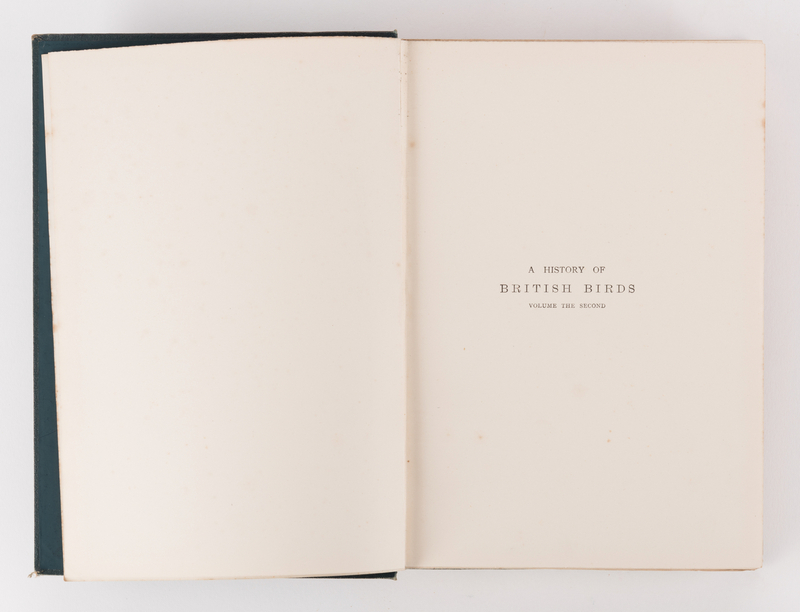 A HISTORY OF BRITISH BIRDS, Vol. 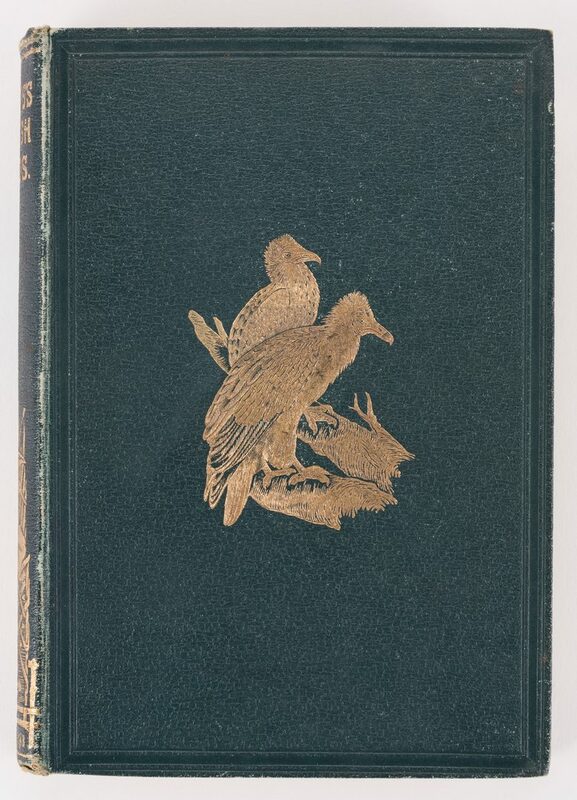 1-6, 3rd ed., by Rev. 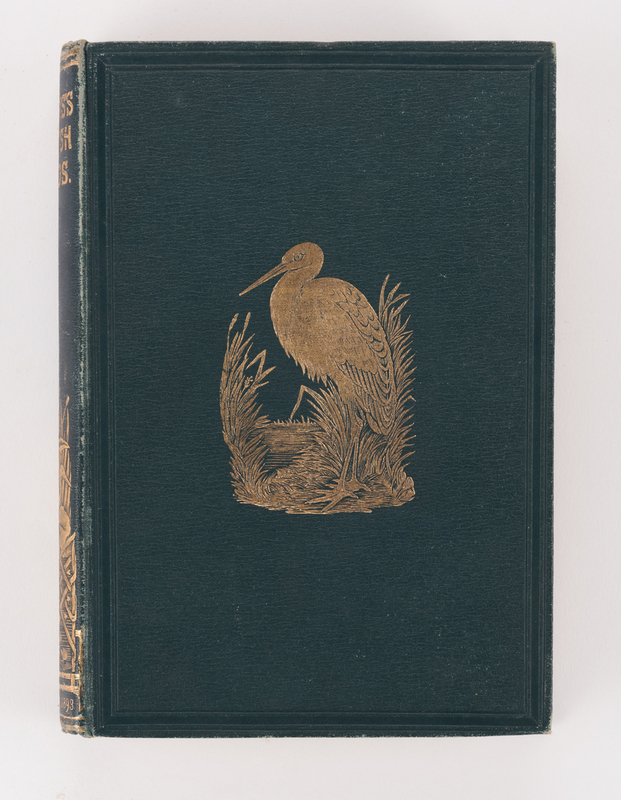 Francis O. Morris, B.A., published by John C. Nimmo, London, 1891. 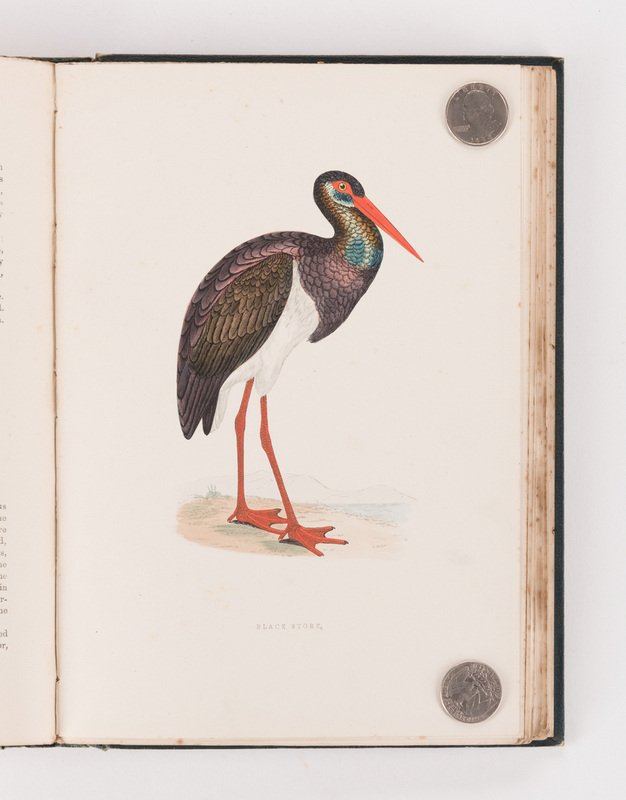 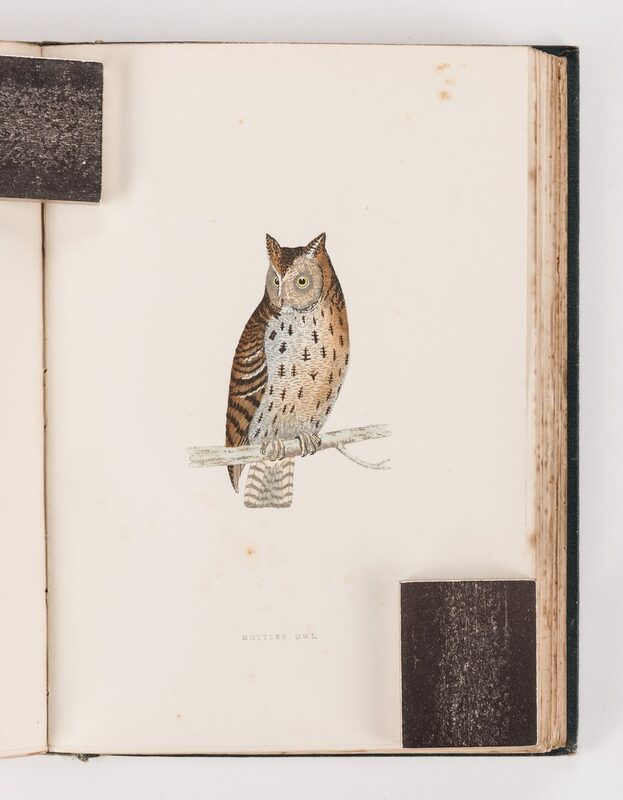 Royal octavo, 394 hand-colored woodcut engraving plates by Benjamin Fawcett. 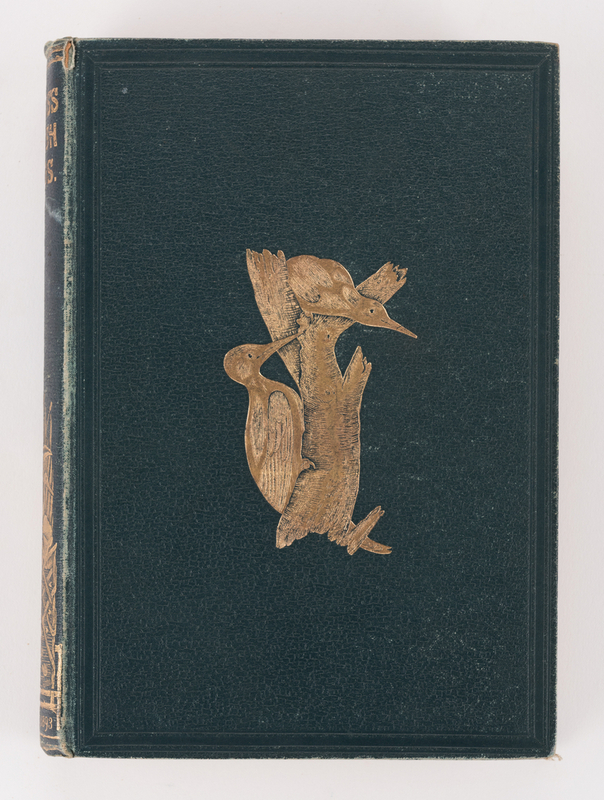 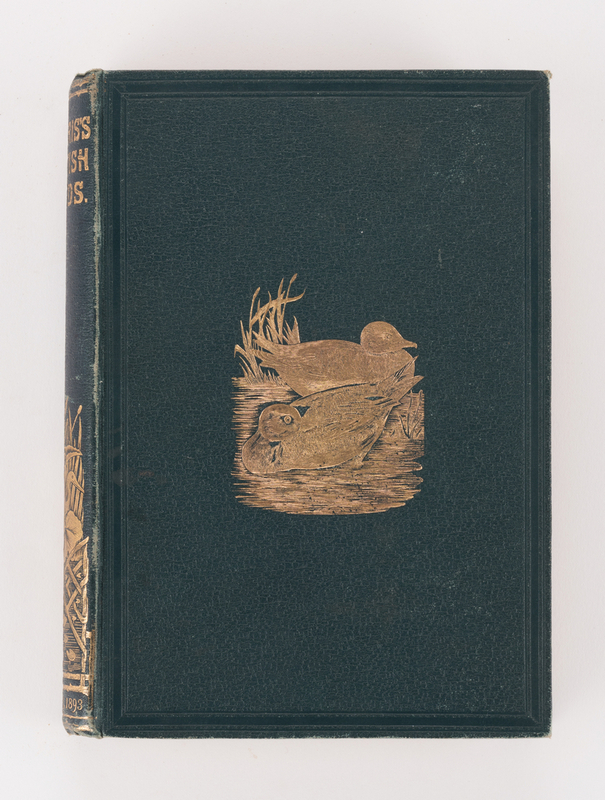 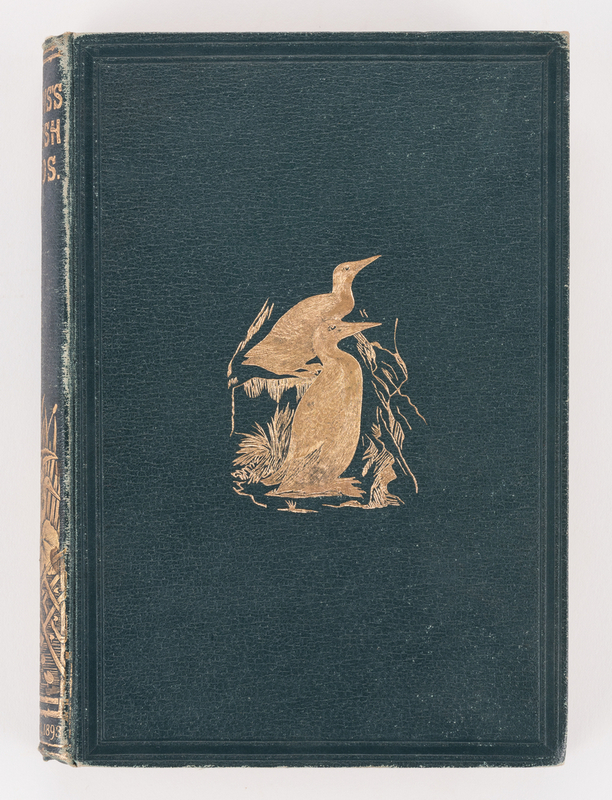 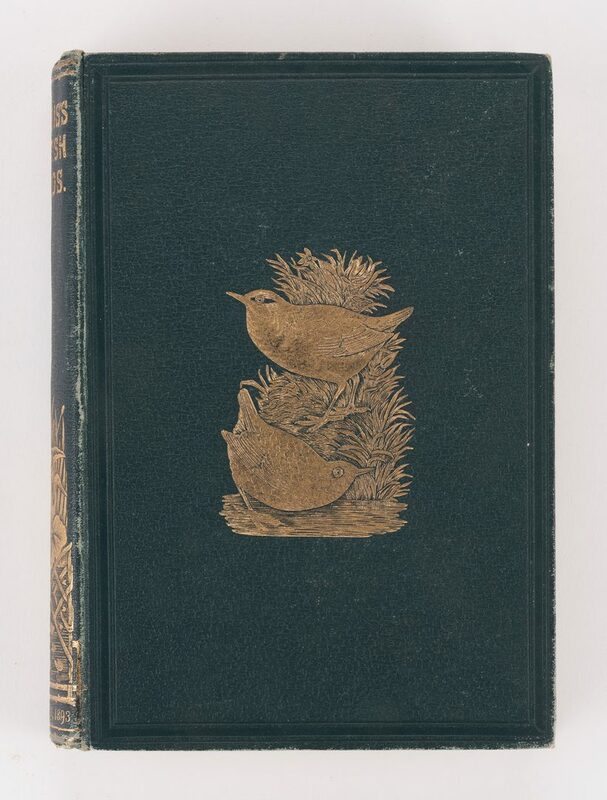 Hardbound in dark green cloth with tooled gilt front cover and title lettering, incorrect date 1893, on spine. 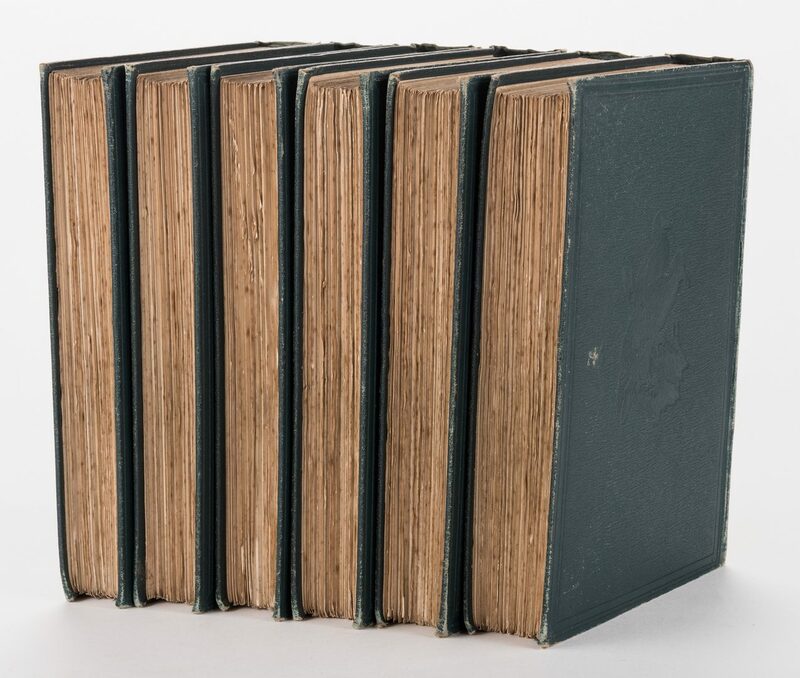 Sheets – 10 1/8" H x 7 1/8" W. Books approx. 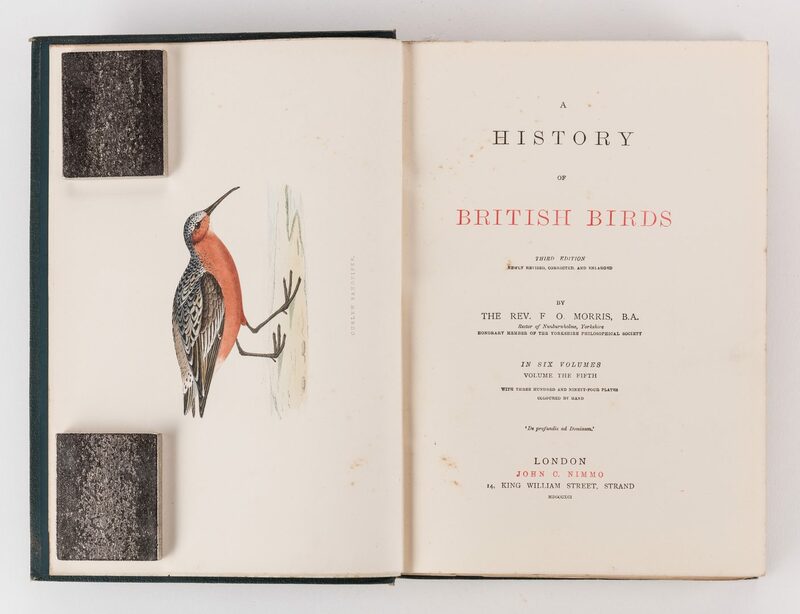 10 1/2" H x 7 1/2" W x 1 1/2" D. CONDITION: Overall good condtion. 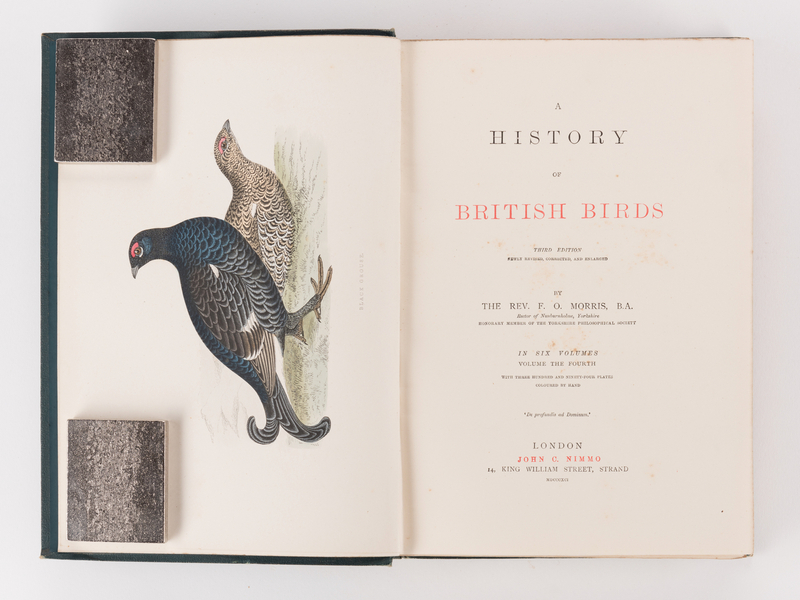 Foxing spots, surface and edges of sheets. Toning, edges of sheets. 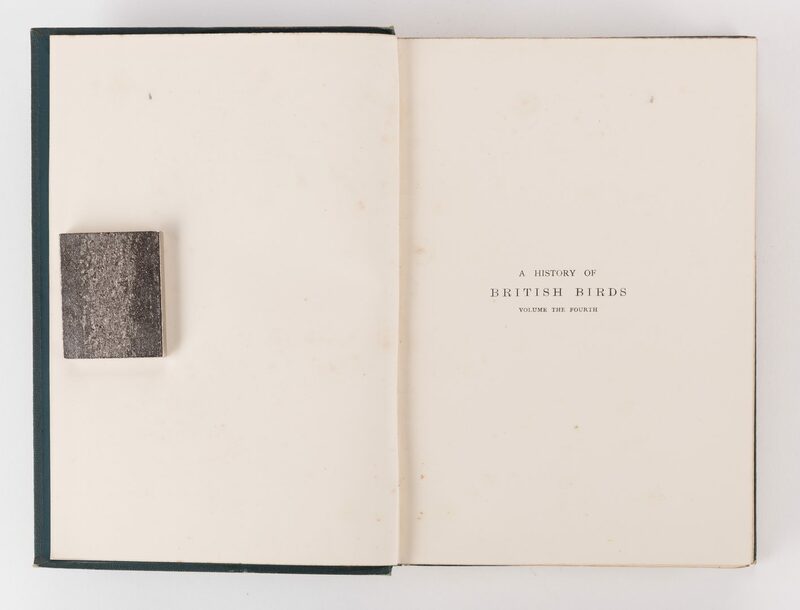 Shelf wear to edges and spines, concentrated lower edges of books. 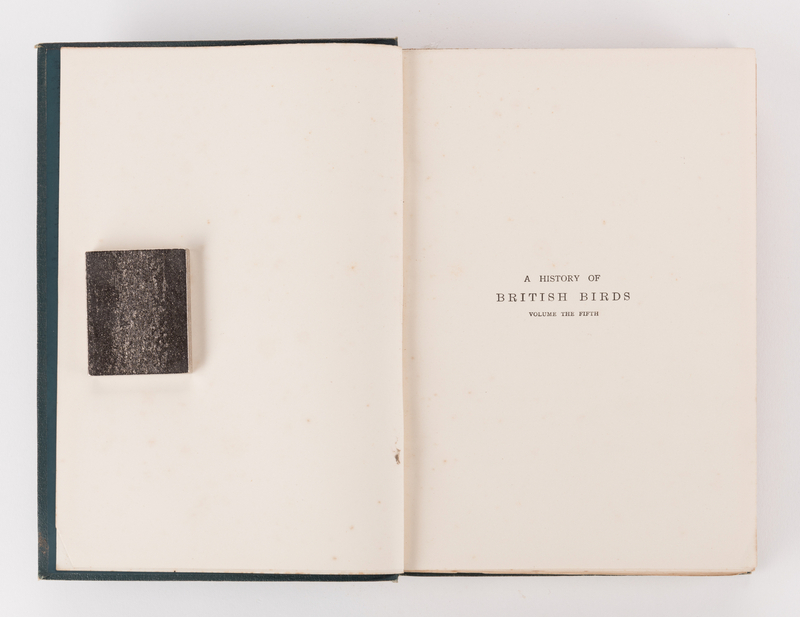 End papers replaced with modern materials.